Sleep training does NOT have to mean Cry It Out but it is an effective method! Choose a method based on the temperament of your baby, parenting style and family dynamic. Realizing it’s no longer your job to soothe your baby to sleep is where we start. Instead, take a gentle step back and allow your baby the freedom and opportunity to learn how to soothe themselves. This not only teaches lifelong healthy sleep hygiene but also fosters confidence and independence. Schedule a complimentary 15 minute sleep consultation if you need more guidance! The sleep training methods below can be applied any time after 16 weeks from the estimated due date not your delivery date. 1. Extinction/CIO – Place baby down drowsy but awake and do not return, barring any gut instinct of danger or illness. 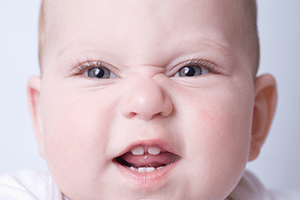 This method is ideal for babies who get more upset if you go in the room. Tuning in to your babies temperament is very important. Of course we want to be the one to FIX the problem but often we are the catalyst. 2. Check and Console – Choose a time frame you’re comfortable with, minimum 3 minutes, when you hear baby in an escalated cry, wait 3 minutes, allowing them to self soothe, then check and console briefly for 1-2 minutes (pat/shush) then leave, rinse and repeat. Increase the timed checks by a minimum of 2 minutes every day. 3. Pick Up Put Down – Place baby down drowsy but awake, when you hear the cry go in right away, pick up baby, pat/shush until calm and place down awake. Important to NOT hold the baby to sleep. Rinse and repeat. 4. Chair Method – Remain present with your baby in the room until she falls asleep. Place baby down drowsy but awake, sit in a chair in the room and shush baby from the chair. Every few days, slowly move the chair closer to the door and eventually out of the room. 5. Silent Return – Every time your toddler leaves his room you silently return them to bed using only your “sleep mantra”. It’s important to NOT talk to your toddler other than calmly repeating your sleep mantra. If they don’t leave their room you do not go in. Sleep is taught, it’s a learned behavior that takes time and patience, reach out for help if you need it!